I’m increasingly seeing the use of quizzes embedded in web pages. Asking questions about something is a proven way to reduce forgetting. If you are not familiar with this concept, then I’d recommend reading Dr. Will Thalheimer’s paper on the Learning Benefits of Questions. This is an excellent read and available for free download on Questionmark’s website. You can help people remember information from a web page by including an iframe quiz on it! The quiz will liven up your page and will help the people who take it remember what’s been communicated there. We’re putting some of these quizzes on the Questionmark website. Each quiz presents five questions selected from a bank of 20 so that each time you load the page, you’ll get a slightly different quiz. 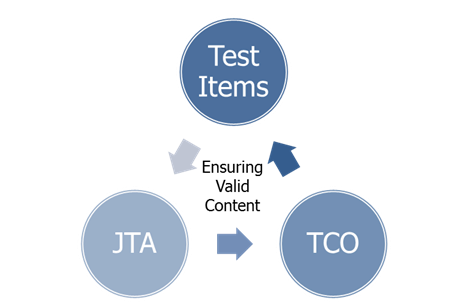 A live example is above or click here to see it in situation. 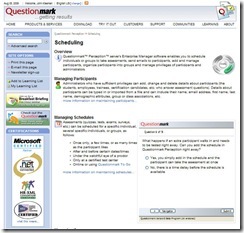 Questionmark users who want to do this for themselves can learn from this article how to put a quiz in a wiki or blog, and this one for more general instructions in an iframe.